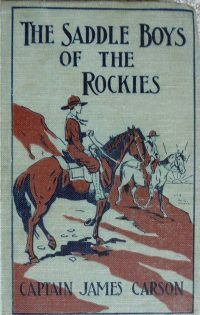 The Saddle Boys in this five volume Western-themed series are Frank Haywood, only son of rich miner/ranch owner Leonidas Haywood and Frank's friend Bob Archer, who hails from Kentucky. Created by the Stratemeyer Syndicate and issued under their house name Captain James Carson from 1913-1915. Tan cloth binding (various shades observed), black lettering; pictorial front in brown & black. Dust Jacket: White coated paper, full color artwork. Same for all books. Same as 1 but gray cloth binding. Green cloth binding, all lettering & artwork in black only. "Telling how the lads started out to solve the mystery of a great noise in the mountains -- how they got lost -- and of the things they discovered." 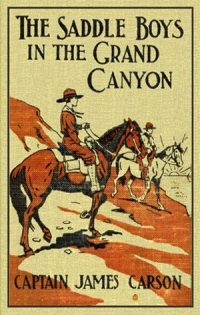 "A weird and wonderful story of the Grand Canyon and the Colorado, told in a most absorbing manner. 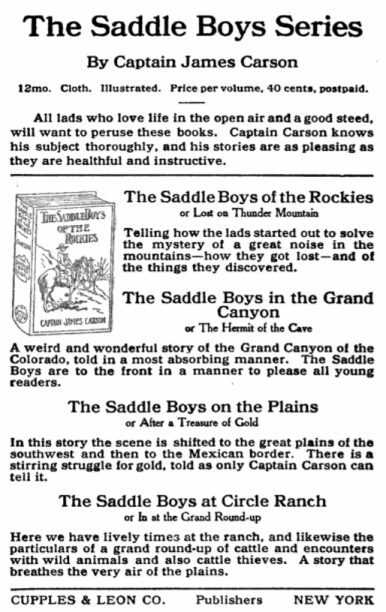 The Saddle Boys are to the front in a manner to please all young readers." 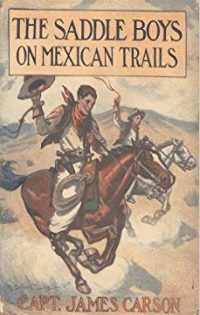 "In this story the scene is shifted to the great plains of the southwest and then to the Mexican border. There is a stirring struggle for gold, told as only Captain Carson can tell it." 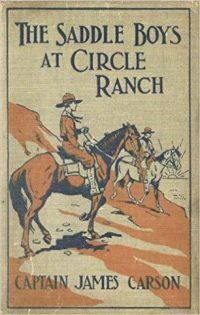 "Here we have lively times at the ranch, and likewise the particulars of a grand round-up of cattle and encounters with wild animals and also cattle thieves. 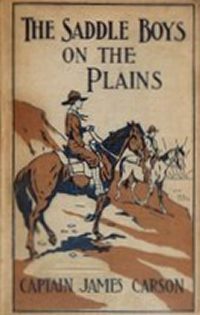 A story that breathes the very air of the plains." "The scene is shifted in this volume to Mexico. 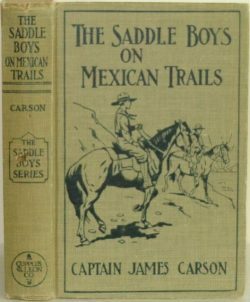 The boys go on an important errand, and are caught between the lines of the Mexican soldiers. They are captured and for a while all looks black for them but all ends happily."